What does the Nicene Creed have to do with Christian Nursing? What does faith in nursing have to do with the Nicene Creed? I say “a lot!” To better explain myself, I need to share with you my history with the Nicene Creed. 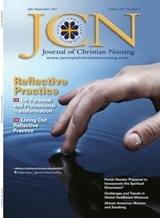 If you have read a previous blog posting on January 2013, you will see that Tove Giske asked me to contribute four Christian nursing articles for the Journal of Faith and Profession a journal published in Norway, 2012. While I was praying and thinking about the series of articles, I thought of the 4 essential concepts to Christian nursing: Faith, Compassion, Prayer and Excellence. These topics became the 4 articles with accompanying Bible studies. After their publication, I compiled the 4 together with international edits, etc to create Our Faithful Journey in Nursing: A Teaching on Faith, Compassion, Prayer, and Excellence in Nursing (available as an eReader through Amazon). It was while I was researching and writing the article on Faith, that I came across the Nicene Creed. My home church and denomination does not use any creed or written prayer as part of the liturgical service. I experienced the congregation reciting the creed as a statement of faith when I attended other Christian services, like Catholic, etc. Also, during this time around 2011-2012, I was researching and learning about the postmodern philosophy and culture exploding in the USA and other western societies. In a nut shell, postmodern philosophy denies absolutes, objectivity, and dogmatism to one of relativism, subjectivism, and tolerance. For Christians, who hold to a faith defined by Truth (big T–God) and obedience to rules, postmodern philosophy is in sharp contrast to our faith. I have also been a student of world religions. I came from a Mormon back ground, explored various religions and philosophies during my ‘seeking’ years, as well as live and work in a melting pot of cultures, religions, and philosophies. All this to say, I seek to understand other people and their beliefs, as well as stay aware of how a simple interpretation of words in the Bible can be the basis for different religions and sects. Okay… I admit I am getting long winded here, but the point is when you learn how various religions say who Jesus is and how that is different then Christianity, you become a life long student of the Nicene Creed. For example, Islam views Jesus as a prophet, etc.See World Religion Chart for more information. The Nicene Creed was written during a time (325 AD) when there was much dispute between the scholars and theologians about the Truth of Christianity. Who is God? Christ? Holy Spirit? What is salvation? and other BIG questions. Also, remember this was before the Bible or Scripture was available to everyone. The typical Christian went to church and memorized scripture, prayers, creeds, etc as a way to live their life and teach their family. Okay…here is the point…The Nicene Creed is the basis of our Christian Faith and is a spiritual questionnaire of what each one of us truly believe. Here is the best online version I have found with scriptures supporting each statement Nicene Creed w/ Scripture . During the Last Supper, Jesus warned Peter that he would be sifted by Satan and deny him three times (Luke 22:31-34). As the evening continues, Peter repeatedly denies Christ. His denial is not quietly, but vocally and wholeheartedly. After the third denial, we hear the rooster crow and our hearts break with Peter’s. For his personal sin becomes part of our redemption story. Be sober and alert. Your enemy the devil, like a roaring lion, is on the prowl looking for someone to devour. Resist him, strong in your faith, because you know that your brothers and sisters throughout the world are enduring the same kinds of suffering. (1 Peter 5:8-9). Peter encourages us to stay “sober and alert” meaning we can’t get complacent about Satan and assume he’s on vacation. We need to “resist him” by being strong in our faith. 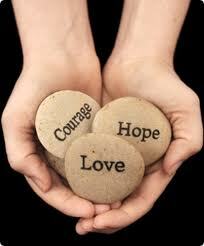 Not a faith filled with words and strength, but a faith dependent upon Christ (1 John 5:5). The true victor in the war with Satan is Jesus, thus our prayers are to him. For just as Peter depended upon the prayers of Jesus, “I have prayed for you, Simon (Peter) that your faith may not fail.” He tells us “I have prayed for you _____________(insert name) that your faith may not fail” (Luke 22:32). In the last devotion, we discussed sprinkling our drought ridden communities with the love of Christ. Even though we naturally think of non-Christians needing a sprinkle, Christians can experience times of drought as well. These are seasons in our faith-walk when we may lack the zeal or passion for ministry. We may feel or sense a depletion of the Holy Spirit’s strength in our life. Maybe we are plagued with doubts or fear; feel alone or abandoned by the Lord; or just apathetic about our ministry or relationship with Jesus. These are the words of David from Psalm 13. We don’t know what was happening in David’s life when he poured out the barrenness of his soul. But, we are encouraged knowing that many mighty men and women of God experience personal droughts. Does your faith feel dry and cracked? 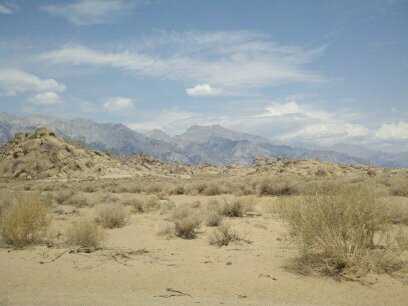 Is your relationship with the Lord empty and barren? If you are currently experiencing a personal drought, much like a dry season of the soul—then take comfort in knowing you are not alone. Many Christians have and are currently needing their own sprinkle. p.s. In the next devotion we will look at how David responded to his spiritual drought.